Columbia Place. c. 1856. Suffolk Road, Sheffield. 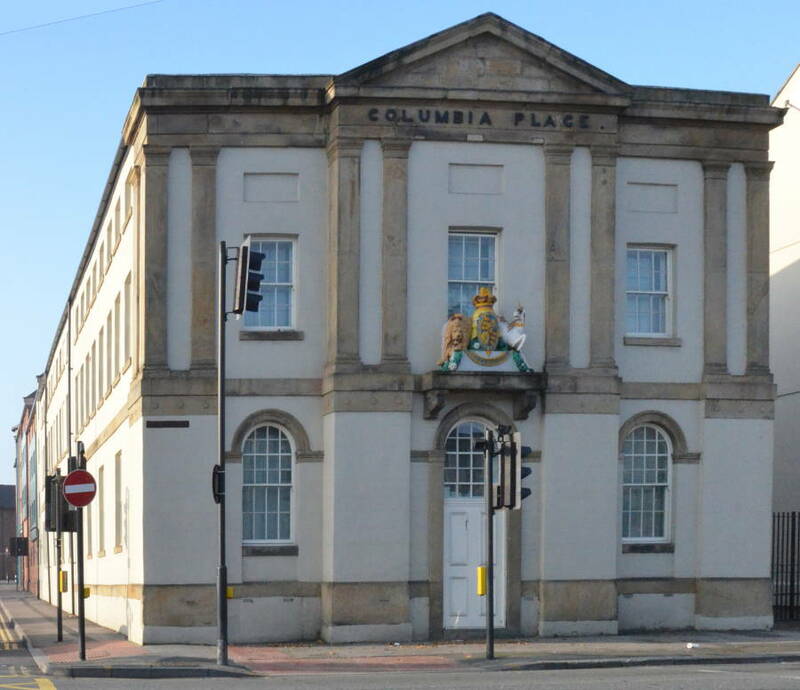 This building, which Harman and Minnis call Columbia Works, “has an ambitious stuccoed three-bay façade which with its first floor paired pilasters and pediment, resembles a major public building” (139). The royal coat of arms dates from the late 1860s when the building housed William Wigfall and Sons, who manufactured brushes. 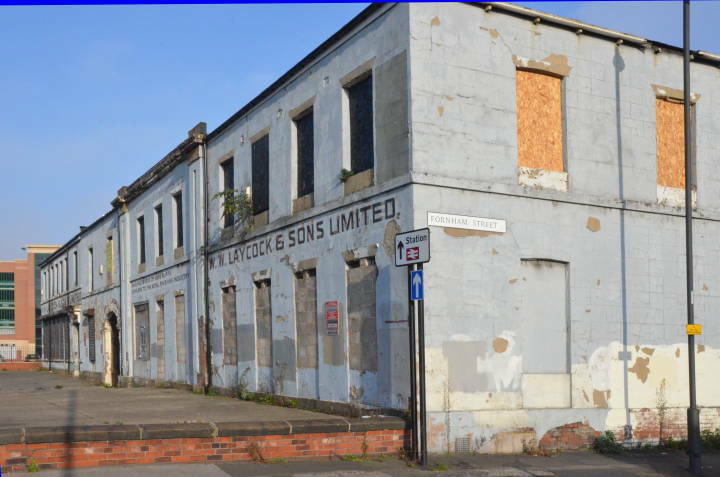 The building, which has been recently converted to flats, faces the ruins of the now-windowless, plain two-story brick premises of W. W. Laycock & Sons Limited.